Diaper Pails vs Trash Cans? Let’s face it: diapers stink. Nothing can quite prepare you for the horror of changing a diaper for your first time, but thankfully, it does it easier. 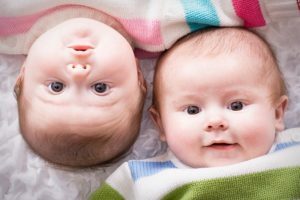 While throwing diapers in a regular trash can might be okay at first, you’ll soon find that it doesn’t quite contain the smells, especially as your baby gets older and starts eating solid foods. It can be downright nasty. There has to be a better way to deal with this, right? Diaper pails are specifically designed for this purpose: they eliminate odors, give you a place to put the used diapers, and are a much more convenient way to dispose of diapers. The debate of diaper pail vs. no diaper pail is almost as big as that of disposable diapers vs. cloth diapers. Some parents will tell you they’re not necessary, and others swear by them. Personally, I don’t know how anyone could go without a pail. I think you’ll agree! So, how do you choose a good diaper pail that’s going to suppress the smells? It’s easy! There are 3 main diaper pails most people suggest: Diaper Genie Elite, Diaper Dekor, and last but not least, the Ubbi. There are other brands of pails on the market, but we’ll focus on these 3, as they’re generally considered the best, and they’re by far the most popular. The main reason is that it’s made of stainless steel as opposed to plastic, like most other pails. Any plastic will absorb smells over time, and it’s hard to get them out no matter how hard you try. What’s particularly nice about the Ubbi is that it’s specifically-designed to work with regular trash bags. They slip over an inner ring that holds the bag and keeps it sturdy. The mechanism works well to keep the smells contained, and I was extremely impressed by it. The packaging says that the Ubbi will hold roughly 58 diapers, and while I think that’s a bit of an optimistic figure, it does hold about three days worth on average. That’s about as long as you’d want to keep diapers in the pail, anyway. What’s best is that the Ubbi does the best job at minimizing odors! The smell is almost unnoticeable, but you do get a whiff when you change bags. This is virtually impossible to avoid in any diaper pail, but I hope that in the future, manufacturers figure something out. If you use cloth diapers, this is one of the few pails that work with them, too which is nice. It has a child-proof lock, so you don’t have to worry about the curious toddler getting into it and making a huge mess. And while it doesn’t have the foot pedal that the others have, it still works well with one hand. You just slide the door open and drop the diaper in. Done. The pail itself comes in 10 different colors, so you should be able to find one that fits in well with the rest of your decor. I like the gray one, but it’s up to you. The only real downside to the Ubbi is the price. It’s more expensive than the other options, but I think you make up for it in quality. This is stainless steel, not plastic, and it’s made to be used with regular tall trash bags, so there’s no need for expensive, proprietary refills. It’s my favorite, and I think it will be yours too! The Playtex Diaper Genie Elite (click here to check price on Amazon) is generally the most popular diaper pail, but that doesn’t necessarily mean it’s the best. And I really wouldn’t say that it is. The reason it’s so popular is mostly due to marketing. The marketing team somehow managed to make the name “Diaper Genie” synonymous with “diaper pail.” And it ended up being the pail most parents go for first since they’ve heard of it before. It’s not all bad, however. It’s very simple to use: it has a nice foot pedal that you step on which opens up the lid, and you just push the diaper inside. It can be used entirely with one hand, which is great. When you step on the foot pedal, the internal clasp opens so that you can put the diaper in, and when you release the pedal, it closes, sealing any odor inside. The Diaper Genie Elite is a great value, too. It’s pretty cheap, and a lot of the pails available on the market today are a lot more expensive. Also, there’s a little trick: While you are supposed to purchase specialized refills, there is a secret that Playtex probably doesn’t want you to know: you can use regular trash bags with it! All you have to do is stick the trash bag inside the Diaper Genie, then wrap the top of the bag around the holding ring when you place it back inside. It should work perfectly. If you prefer, you can also buy the proper refills which tend to be inexpensive especially if you buy them online. Each refill will last you about a month, and you’ll have to change the bag about once per week. When the bag is full, you can easily remove it to be disposed of with the rest of your trash. It’s very easy to remove the bag and insert a new one, and I think you’ll get the hang of it after doing it once. All in all, the Diaper Genie isn’t awful, but it’s not my favorite. You might like it though. Another great pail on the market, the Diaper Dekor (click here to check price on Amazon) and one I like much more than the Genie, but not as much as the Ubbi. The design of the Diaper Dekor is similar to that of the Ubbi. It’s pretty sleek and chic looking, which is refreshing. And it comes in a few different colors. In particular, I like the blue and pink colors which are nice in nurseries. The black one is a little odd, though. Just my opinion. Diaper Dekor sells refills you’re supposed to buy, but don’t fall for it. It works just as well with regular trash bags, or even reusable cloth ones if you have those. If you do go with the refills, it’s cool that they’re made out of 20% recycled materials, and they’re supposed to be biodegradable, unlike plastic bags. Like the Genie, this one has a foot pedal, and it can be used entirely with just one hand. You step on the pedal, and then there’s a trap door you have to lift with one hand. In my experience, the Dekor holds the smell in much better than the Genie does. That’s not to say that the Genie doesn’t work, but I found the Dekor to be better. Of course, it’s impossible to avoid catching a whiff once in a while when you step on the pedal, but that’s the case with any diaper pail. The Diaper Dekor comes in 3 sizes: Classic (“regular”), Plus and XL. The only difference is in the number of diapers they can hold, and I’d personally recommend the Plus model. It seems to hit just about the right price ratio for refills, and honestly, having a larger storage capacity isn’t always the best thing. The longer those diapers sit inside the pail, the nastier it’s going to get. A nice bonus of the Diaper Dekor compared to the Diaper Genie are the childproof features. Once your child is old enough to get around and explore everything they can get their hands on, it’s much appreciated. The trap door locks, the lid locks and so does the bottom access door. The cutter on the door is also childproofed. It’s nice, and something I wish the Genie had. The final bonus of the Diaper Dekor is that you can use it as a regular trash can after you no longer need it as a diaper pail. Win-win situation! Click here to see it in all 5 colors on Amazon! Obviously, my favorite pail is the Ubbi. Being stainless steel, looking super sleek and being designed to work with regular trash bags is simply awesome. And it seems to do the best job at containing the smells, and isn’t that the whole reason we want a diaper pail in the first place? So, Why a Diaper Pail and Not Just a Trash Can? You might be tempted to throw the diapers straight into the trash, but hold on, momma. That’s an awful idea because regular trash cans aren’t fit to contain the smells associated with dirty diapers. Unless you want your nursery to smell like one big diaper, you’re going to want an actual diaper pail. Why not a trash can? First of all, most trash cans are made of plastic on the interior, which absorbs smells. It’s almost impossible to get the smell of a dirty diaper out of plastic once it’s permeated the inside. Another good reason to get a diaper pail is that they usually can be used with liners. This makes them super easy to use and keep clean. But I Want to Use Cloth Diapers! If you’re going to be cloth diapering, you’re a little more limited in your choices. You need one that’s specifically made for cloth diapers! If this is out, head on over and read our guide on the best cloth diaper pails. Diaper pails come with many different features. 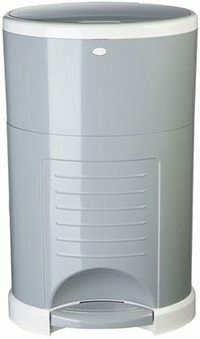 Here is what I think you should look for when deciding upon the best diaper pail for your home. #1: The diapers are pushed through a hole and past a clamp-like device. I would recommend one that uses method #2, as this ensures that the diapers are being compacted down into the pail. With method #1, this isn’t necessarily true. Foot pedal: This goes along with the above point: the diaper pail being easy to use. When dealing with messy diapers, being able to open the diaper pail with your foot is priceless and makes the job much easier. I would recommend spending a little extra money if it makes the difference between having a foot pedal or not. I can’t even tell you how much of a lifesaver this feature is if you’re trying to juggle your baby and a dirty diaper at 3 AM in the morning. 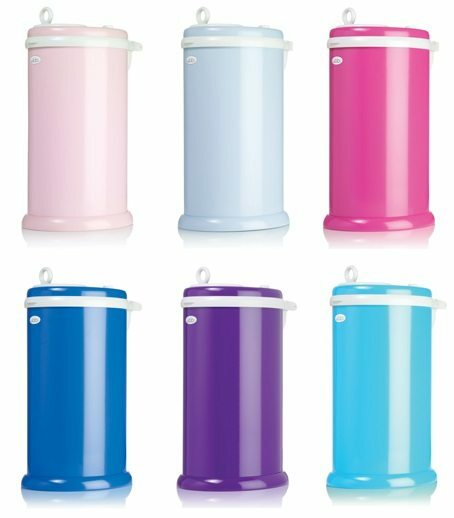 Keeps odors contained: Most diaper pails are good at this; after all, it’s one of the main purposes of having a diaper pail! You’ll want something made of either metal or high quality, hard plastic that won’t absorb odors. Liners/bags that are inexpensive & easy to change: Some diaper pail liners can come at a premium, especially those that are scented. Some diaper pails allow you to use regular trash bags while others will require specialized bags or liners. 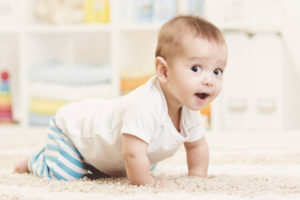 While this might seem like a great money-saving option at first, you’ll find that diaper pails that allow this are usually not user-friendly. Large storage capacity: This is a must if you’re a parent that doesn’t want to empty the diaper pail every day. Changing the bag in the diaper pail is never going to be a pleasant experience, and opting for a diaper pail with a large storage capacity means that it will be able to handle quite a few diapers, and a quality diaper pail will make sure that it doesn’t smell at all! Very convenient. 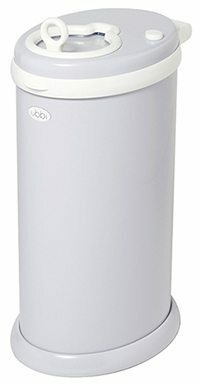 If you’re shopping for a good diaper pail, you really can’t go wrong with the Ubbi. Stainless steel and almost no smell leakage whatsoever. You can see it on Amazon by clicking here. Do you have a diaper pail? Let us know how you like it in the comments below! Or, if you have any questions, feel free to ask! We had an Ubbi and it STUNK after 6-8 months. We are in search of our next diaper pail. Anna, as long as you’re taking care of it and cleaning it properly, it shouldn’t stink. It’s made of stainless steel, so it shouldn’t absorb any smells. I do have some tips for doing so that you can read here. I have an Ubbi as well and it does indeed stink if you don’t air it out and then scrub it down every so often. The stink does come out, though, unlike with some plastic pails. Try The First Years diaper pail. You never have to fully open the pail and expose odors to drop a dirty diaper and it comes with a charcoal filter and fan to ensure the odors remain inside. The design is pretty ingenious! I prefer this pail to the Ubbi in terms of function. You can also use regular garbage bags with it. I’ve gone through 2 Diaper Dekors, each one lasting about a year before the plastic stunk. I did not use the recommended Diaper Dekor bags and that could be why they did not last. I always used regular trash bags because so many people said I could, and the room easily and quickly smelt like dirty diapers. Chris, I would suggest giving the Diaper Dekor a good washing every once in a while. I do have a guide on how to get rid of the smells.